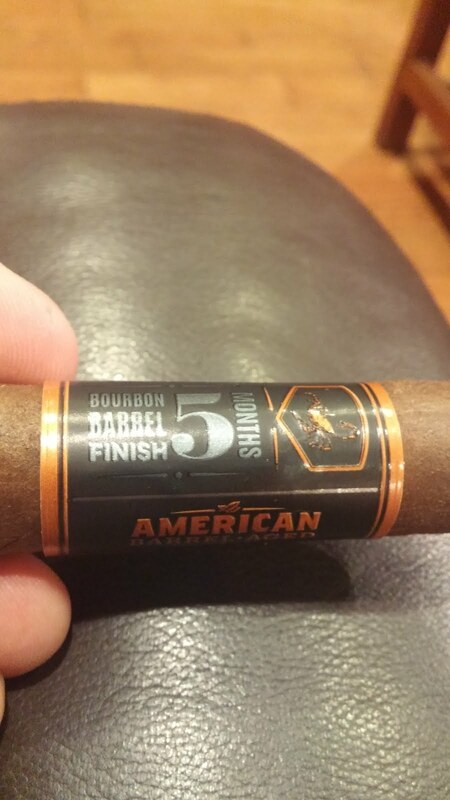 Background: The interesting part of this cigar is that it really is an “all American” smoke. From the tobaccos on the inside to the wrapper, everything is grown in the USA. The corojo filler in this one is aged for 6 years, then is further aged in bourbon barrels (again an American product) for 5 months. See a theme here? Time and care went into this product. Appearance (0-20): One of the most striking things about this smoke is the initial appearance. It’s bold and it’s in your face. But let’s be honest – that’s pretty much the American persona. The orange, black, and silver on the bands work well to put out a really stylish look and showcase the cigar. It is an attention grabber for sure. You will note a few things on this one. The bottom label shows it as the American barrel aged, with some barrel designs around it to reinforce that. You will also see some taglines like the following – “uncompromised intensity”, “layered complexity”, “six years aged original corojo”, “hand built in the Dominican Republic”, and “bourbon barrel finish 5 months”. Beyond the packaging alone stands a good looking stick. There are no impurities, no major veins of note, and the wrap looks tight. There isn’t much better you could possibly do in terms of looks. 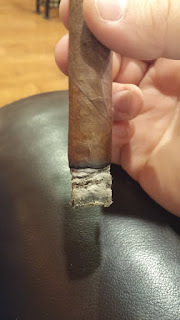 Construction (0-20): The PA Broadleaf on the outside of this smoke has a nice light oily feel to it, with some slight rough spots. It’s packed well as it is firm in one’s hand. Prelit draw was on point with just right amount of resistance, though after lighting it was a little looser than I would have preferred. The burn was fairly straight throughout with a decent ash compiling at each time, about one inch per drop. Strength (0-20): A medium to full strength rating on this hits it almost directly. Flavor (0-20): The flavor profile is interesting to say the least. As expected there is a nice peppery blast off of the initial smoke. It’s backed up by both earthy and nutty flavors, as well as some of the bourbon flavors that are imparted by being aged in the barrels. Light sweetness and some other spices are present, but none are prominent. The pepper itself fades as the smoke continues, but it doesn’t totally get phased out... it more or less steps back a little so other flavors can shine. The second portion sees some incorporation of a bit of vanilla and wood, but almost a charred sort. The char is reminiscent of the smoky nature of some of the better bourbons. This same flavor profile continues to be relevant through the rest of the stick, though it all varies in the strength of those flavors. Value (0-20): $10.00? That puts this into a different tax bracket, so to speak. 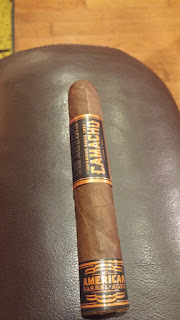 BUT, it is worth the money on this one, unlike some other offerings we have smoked in the past in the same price point… Though it’s still not a daily smoke with that cost. Overall (0-100): Camacho swung for the fences with the American Barrel Aged Robusto. 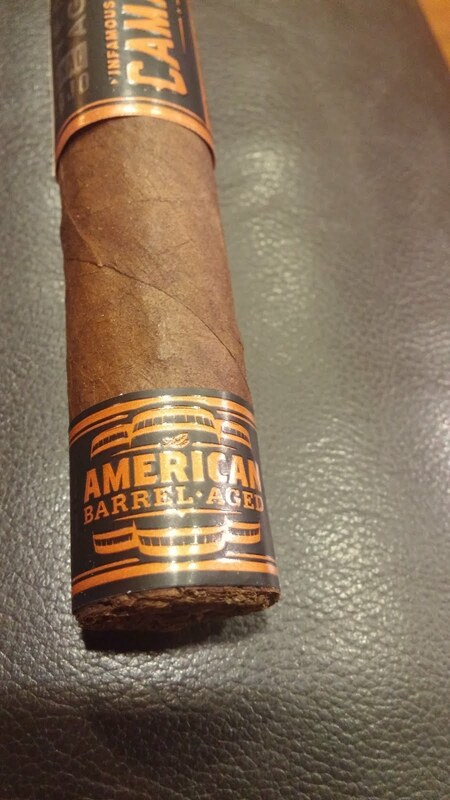 They took what could have been a gimmick (an all American cigar) and instead put out a really interesting product. 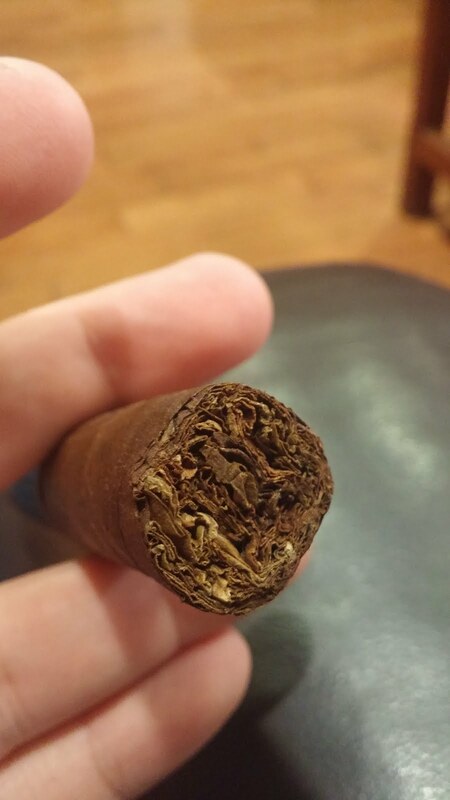 From beginning to end, the cigar really is all about ‘Murica. So did they hit a home run with this one? I’m going to say no, but it was close to an inside the parker as you are going to get. The appearance screams America with its bold looks. The construction is above average but the strength is nearly right on the button of where it should be. The flavor profile of spice, sweetness, earthiness, wood, etc is pleasing though not overly complex as it more or less varies in the amount of some standard flavors. So last comes to price. Would I pay $10 for this? Yes. I absolutely would. 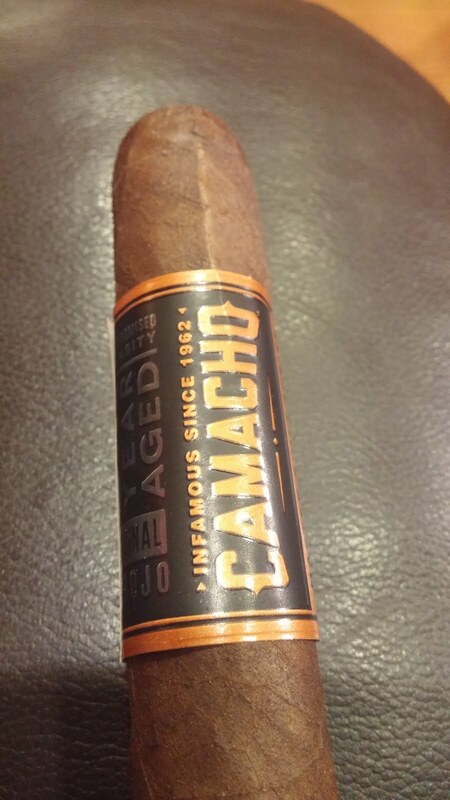 This is definitely going to go onto the list of cigars that I will pick up when I am looking for something better. However, I will admit that the $10 price is one that would keep me from picking it up on a more frequent basis. TL:DR – Great cigar at the correct pricing, though not an every day smoke.